Discount Magic - Marked Cards Maiden Deck Red Back. The most clearly marked deck in the world, and affordable BY DESIGN so you can treat them like NORMAL CARDS. I’m going to let you in on a secret: Top card magicians use marked decks. Every single time they perform. They use the decks in ways you’ve never even thought of. Some amateur magicians are afraid of using marked cards. They’re afraid of getting caught. But here's the thing: NOBODY ever gets caught because a spectator sees the marks; magicians ONLY get caught when they STARE AT THE MARKS FOR TOO LONG. So, we designed marks that are bigger, more visible, yet ORGANICALLY hidden in the design. Our marked deck is also the most affordable, which is a GAME CHANGER because now you can handle the marked deck just like you would any other old cheap deck. You can have cards signed. You can tear them up. You can throw them around. Do whatever tricks you'd normally do. 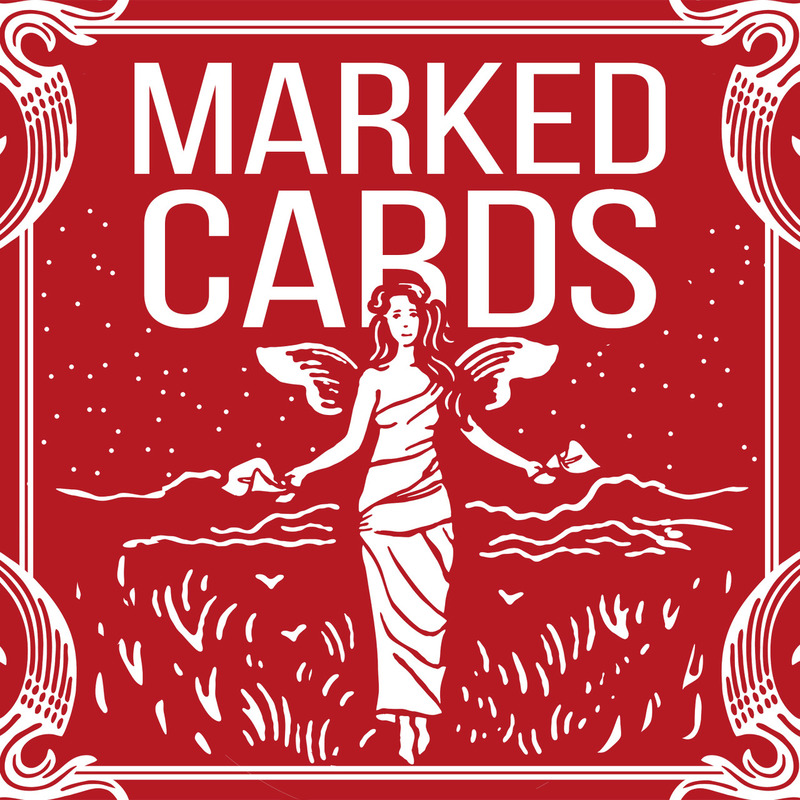 …and speaking of tricks, when you buy even ONE deck of our Marked Cards, you're going to get TWO FREE, FULL-LENGTH DOWNLOADS showing you a bunch of BRAND NEW effects that can be done with these marked cards. The first download features me. Basically, I read through all the old marked deck books, pulled out the best four tricks I could find, and then worked with my Vegas friends to modernize and improve them. Every one of these 4 tricks has the power to KILL. Just look at the demo video and see for yourself. The second download features Jon Armstrong. He's one of those card pros who uses marked cards ALWAYS. Seriously, if you've seen him do card tricks, the cards were marked. He's going to teach you advanced marked card technique. He's going to reveal how marked cards can DRAMATICALLY improve the tricks you already perform. He'll show you how marked cards can act as a failsafe in case your trick goes wrong. He’ll show you how marked cards are the single most powerful weapon you've overlooked. 1) Our Marked Cards are now printed on the U.S. Playing Card Company’s ELITE STOCK. (Previously the Elite Stock was only available for unmarked Bicycle cards.) These cards are flexible, snappy, and durable. They offer a soft yet supple handling with smooth edges and a traditional cut. 2) Along with 2 identical jokers, the Marked Cards come with a bonus double-backer and a blank-facer. PS: I PROMISE after you watch the free download with Jon Armstrong, any fears you might have about getting "caught" will VANISH. Seriously, he's going to show you how to use marked cards the RIGHT way so nobody even IMAGINES that they MIGHT be marked. Close-Up Mat - Table Hopping (Small) - 9" x 13"
Marked Cards Maiden Deck Red Back The most clearly marked deck in the world, and affordable BY DESIGN so you can treat them like NORMAL CARDS.